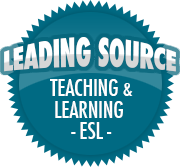 EFL in the big picture: policy planning | So, You Think You Can Teach ESL? In previous blog entries, I’ve looked at various aspects of planning English lessons. In terms of long-term planning for instance for the coming half a year or so, I’ve written about writing semi-annual plans based on lines of language development. In terms of shorter-term planning, for instance per theme and per lesson, I’ve looked at theme planning, implementing multiple intelligences, and group work. All good and well for the individual teacher looking for inspiration on a classroom level. However, as every teacher is aware, teaching is a team sport. At the end of the year, the class often moves on to a new teacher, and then it’s up to the new teacher to pick up where the other left off, and we pick up where the previous teacher left off.